Wader Quest: Sue Oerti clocks up another wader. Sue Oerti clocks up another wader. A message from Sue Oertli of Wader Quest South Africa tells us that she has clocked up another species for her challenge. This is another we didn't see with her. 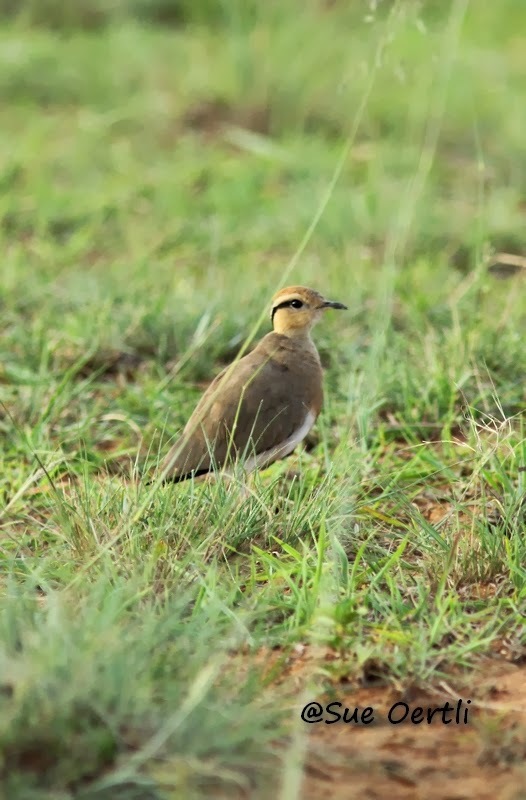 Temminck's Courser. She travelled to Ezemvelo Nature Reserve which is a private game reserve of some 11,000 hactares located near the town of Bronkhorstspruit. It has prime grassland and an excellent track of Banken veld habitat - rocky mountains, hills, ridges and plains of quartzite, conglomerate, shale dolomiteetc. Sounds quite a place! Gauteng Challenge species total 15. Money pledged so far: 70 Rand per species = 980ZAR.